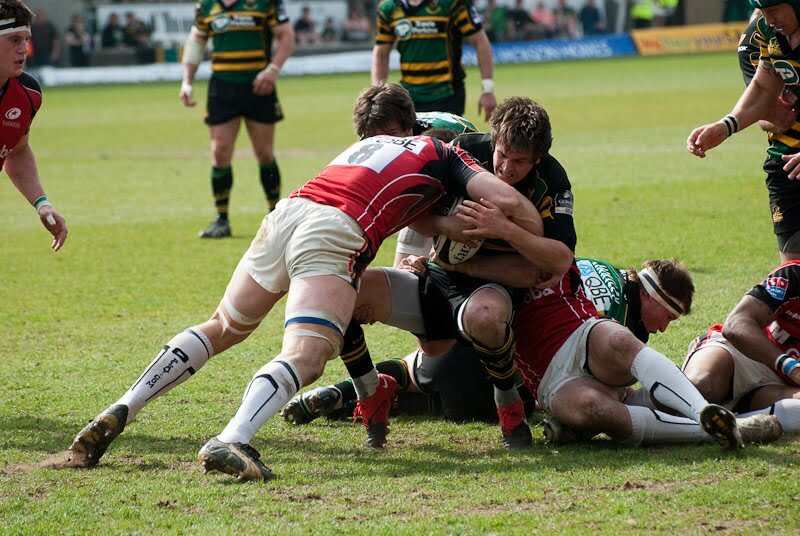 Last home game of the season, Saints v Saracens in the 4th meeting of the season – and with potentially another one to come in the playoff semi-finals! A glorious sunny day, and a cracking game of rugby – the only problem being the final result – 28-27 to Saracens. 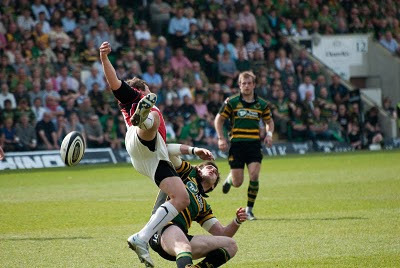 Saints had a chance to win it, missing a conversion with only 2 minutes left. To be fair, Saracens played really well, and looked massively dangerous with the ball in hand – which is a major change compared to how they played at the start of the season. Lots of good photos this week, with the good light really helping. 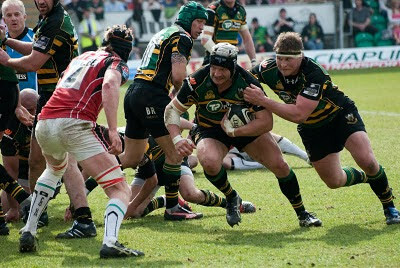 Euan Murray and Dylan Hartley prepare for the forthcoming collision. And finally, a couple that I don’t really want to put up, but have to because they’re really nice photos. It’s Saracens scoring the winning try. Really well taken, right in the corner. The full set, and there’s quite a few of them are on my website.